A new railway connection between the port of Moerdijk in the Netherlands and Wroclaw in Poland has been established. The journey takes 30 hours from terminal to terminal. From Moerdijk, cargo can be forwarded to Immingham or Thamesport in the UK. This was announced by Schavemaker Logistics and Transport, who operates the service. 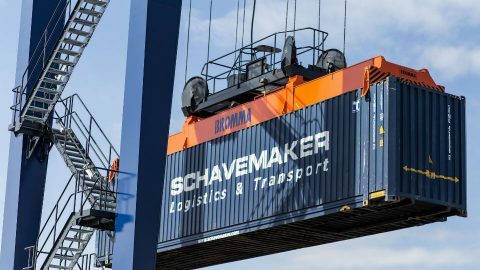 Schavemaker also runs the terminal in the south of Poland, in Kąty Wrocławskie to be precise. This town lies ten kilometre from the city of Wrocław in Poland, in the important manufacturing region of Silesia. It is also strategically located on routes to central and western European countries and Asian countries, such as China. The port of Moerdijk offers important short-sea connections to the UK. 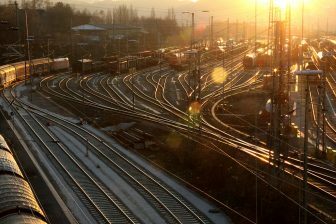 The terminal in Kąty Wrocławskie last year extended its inland rail terminal to be able to handle more trains and increase storage capacity, anticipating growing cargo volumes in the near future. 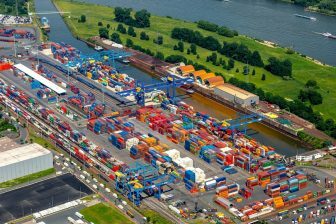 In the meantime, the Dutch Port of Moerdijk is building a second rail terminal and extending its existing rail tracks to handle 740-metre long trains. With these measures the handling capacity of containers at the terminal should be increased significantly. The connection between the countries is a direct railway link, enabling short lead times and high reliability. 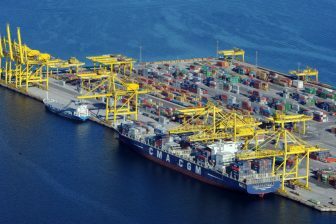 The direct link is made possible as cargo of several shippers is grouped and transported in one journey. A train leaves the Polish terminal on Monday afternoon, arriving in the port of Moerdijk on Wednesday afternoon. In the other direction, a train departs on Tuesday evening, arriving on Thursday morning. The Moerdijk-Wroclaw connection is realised as part of a partnership named Linked by Rail, aiming to make transport between the two countries more competitive. It is the second connection within this framework, the first being the railway line Rotterdam-Poznan. Ik begrijp dat er sprake is van een Europese subsidie in het kader van de E-TEN route. Maar de lijn door Brabant valt toch niet meer onder een E- Ten route. Of zie ik iets over het hoofd.